The full cast of celebrities from the very first season of Dancing with the Stars: Juniors has just been announced on Dancing with the Stars! These talented kids will team up with the Dancing with the Stars: Juniors pros and mentors to compete for a special Mirrorball Trophy this fall. 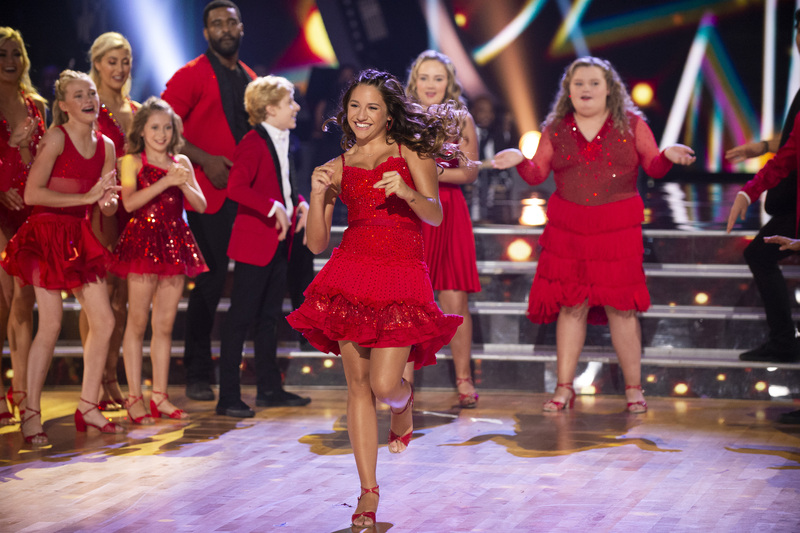 From reality stars to sports prodigies to kids from your favorite ABC shows, it's a diverse cast that promises to deliver on great dancing and lots of fun. 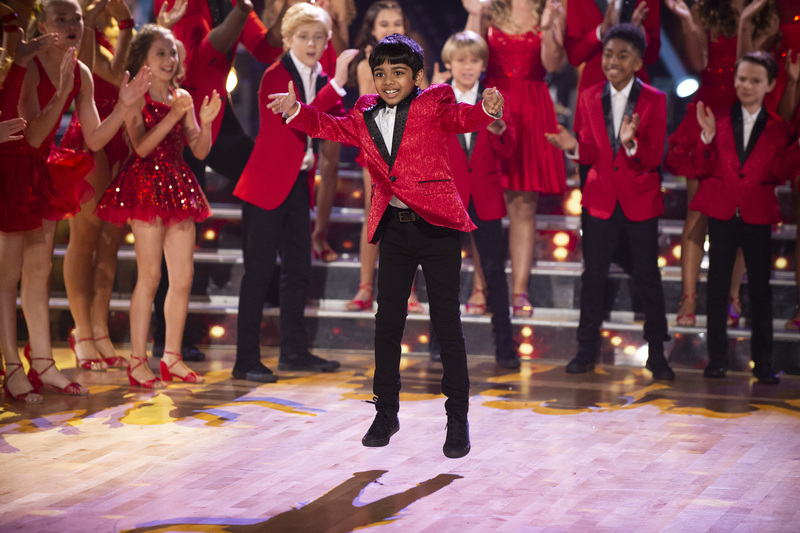 Don't miss the two-hour series premiere of Dancing with the Stars: Juniors SUNDAY OCTOBER 7 8|7c on ABC to watch these young celebrities make their ballroom debuts! Addison Osta Smith was the first girl and youngest contestant ever to win MasterChef Junior at the age of 10. Winning MasterChef Junior led to multiple television and media appearances, including cooking demonstrations and interviews on the Late Late Show with James Corden, Hollywood Today Live, Good Day LA and The Steve Harvey Show. In 2015, she was cast in the ABC pilot, Dream Team, which was filmed in spring 2016. She is currently working on her first cookbook and wants to inspire kids and adults to do what they love and to help others while doing it. Addison (age 13) is partnered with Lev Cameron and mentored by Keo Motsepe. Alana Thompson, or more famously known as Honey Boo Boo, started her career on Toddlers & Tiaras when she was 5 years old and quickly rose to fame. She then starred in her own show, Here Comes Honey Boo Boo. Now you can see her on Mama June: From Not to Hot, which is in its second season on WEtv. Alana loves being on social media, texting her friends, hanging out with family and doing her makeup. Alana (age 12) is partnered with Tristan Ianiero and mentored by Artem Chigvintsev. Ariana Greenblatt is a small-but-mighty star on the rise, who just wrapped filming Disney's The One and Only Ivan, where she stars opposite Bryan Cranston, Sam Rockwell and Angelina Jolie. Ariana has always loved dancing and took her first class at age 2. Currently, she is playing Daphne Diaz on Disney's Stuck in The Middle and has starred in A Bad Moms Christmas and Marvel's Avengers: Infinity War, where she played Young Gamora. Ariana (age 10) is partnered with Artyon Celestine and mentored by Brandon Armstrong. Jason Maybaum stars as Levi in Disney Channel's live-action comedy Raven's Home, a spinoff of the iconic comedy series That's So Raven, now in its second season. In addition to his role on Raven's Home, Maybaum starred in the critically acclaimed Hulu movie Becoming Bond, has guest starred in Workaholics, Teachers, Blunt Talk and Superstore episodes and has appeared in numerous commercials. He is also featured in the upcoming Disney Channel Original Movie Freaky Friday, a contemporary musical update of the classic comedic story. Jason (age 10) is partnered with Elliana Walmsley and mentored by Emma Slater. Born in Pittsburgh, Pennsylvania, Mackenzie Ziegler has quickly become one of her generation's most influential rising stars. The singer/songwriter and actress was most recently seen starring in the YouTube series Total Eclipse, for the digital network Brat, of which she also serves as an executive producer. Her first novel, Kenzie's Rules for Life, was released on May 8. Mackenzie (age 14) is partnered with Sage Rosen and mentored by Gleb Savchenko. Mandla Morris, the son of iconic singer/songwriter superstar Stevie Wonder, is an aspiring fashion designer who loves to draw and sketch clothing. With his five brothers, four sisters, one dog Cairo, and one exotic cat King, he is also into music and enjoys playing the piano. His parents inspire Mandla every day to be the best person he can be. With a love of travel (he recently visited Milan and Paris), he also likes to hang out with his friends, going to the movies and playing video games. Mandla (age 13) is partnered with Brightyn Brems and mentored by Cheryl Burke. Miles Brown stars in ABC's Emmy®-nominated and critically acclaimed comedy series black-ish, from creator Kenya Barris. He recently wrapped production on the independent film Emmett, opposite Rita Wilson and Nora Dunn, a coming-of-age comedy directed by Bridge Stokes. In addition, Miles is a member of the Jr. NBA Leadership Council, which is a select group of NBA/WNBA players, legends, coaches and celebrities tasked with providing thought, leadership and insight as it pertains to growing the Jr. NBA brand. Miles's past credits include The Thundermans, Shameless and Raising Hope. 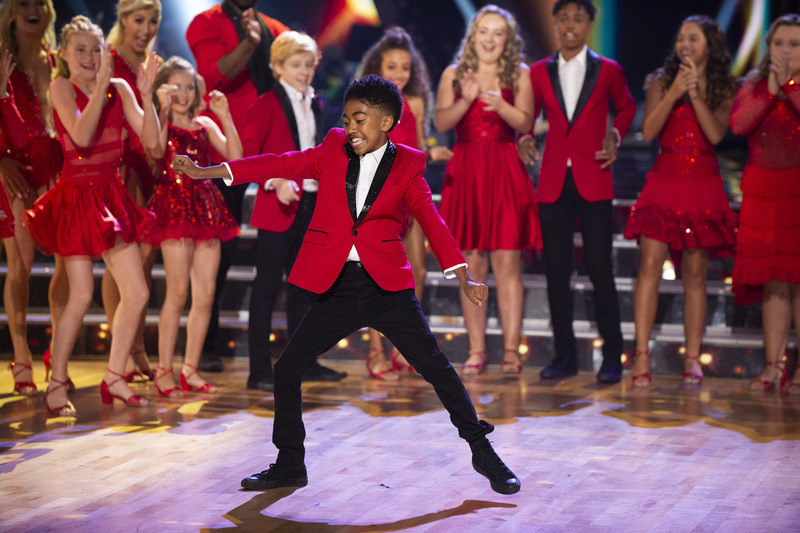 Miles (age 13) is partnered with Rylee Arnold and mentored by Lindsay Arnold. Sky Brown is known as a skateboarding and surfing phenom, which has led her to become a viral video media sensation with over 50 million views. Sky, who learned to skateboard at the age of 3, is one of the youngest girls to compete and medal at a professional skateboarding competition and uses her platform in skateboarding to spread her message of positivity, empowering young girls around the world and to globally give back to children in underdeveloped areas. Sky (age 10) is partnered with JT Church and mentored by Alan Bersten. Sophia Pippen is the daughter of six-time NBA champion and two-time Olympic gold medalist, Scottie Pippen and entrepreneur Larsa Pippen. At a young age, Sophia signed to Wilhelmina Kids and Teri B. Talent to begin pursuing a career in the world of fashion and beauty. In a short time, Sophia has catapulted herself to the top by becoming the face of Oscar De La Renta Kids and walking down the runway for childrenswear brands including Aliva Simone and KidPik during Kids Fashion Week in NYC. 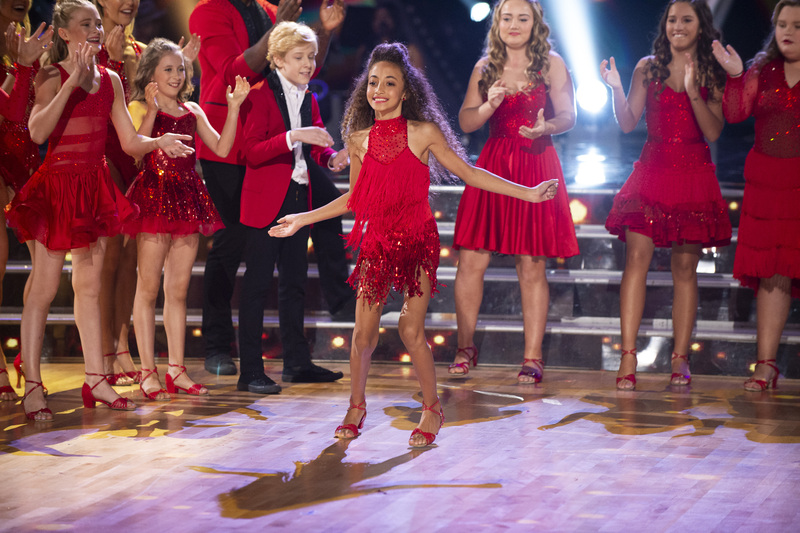 Sophia (age 9) is partnered with Jake Monreal and mentored by Sasha Farber. Tripp Palin Johnston loves traveling between Alaska and Texas, where he's embraced by a large, active family, including his mother, former Dancing with the Stars contestant Bristol Palin, and grandmother Sarah Palin. He is an all-outdoors-all-the-time all-American boy. He loves fishing, four-wheeling, snow machines, dirt bikes, football, soccer ... "his little sisters and God," Tripp reports! Never having danced before, Tripp looks forward to the athleticism required in this competition, and mostly just wants to have fun. Tripp (age 9) is partnered with Hailey Bills and mentored by Jenna Johnson. Hosted by Dancing with the Stars Season 25's Mirrorball trophy winner, Jordan Fisher, and finalist Frankie Muniz, Dancing with the Stars: Juniors is a fresh take on an established favorite in which 12 celebrity kids will be partnered with professional junior ballroom dancers to perform choreographed routines, which will be judged by Emmy Award-winning choreographer Mandy Moore, professional dancer Val Chmerkovskiy and Dancing with the Stars: Athletes champion, Adam Rippon.